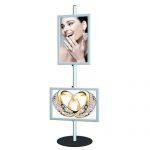 Elegant Rigid Graphic Sign Holder! 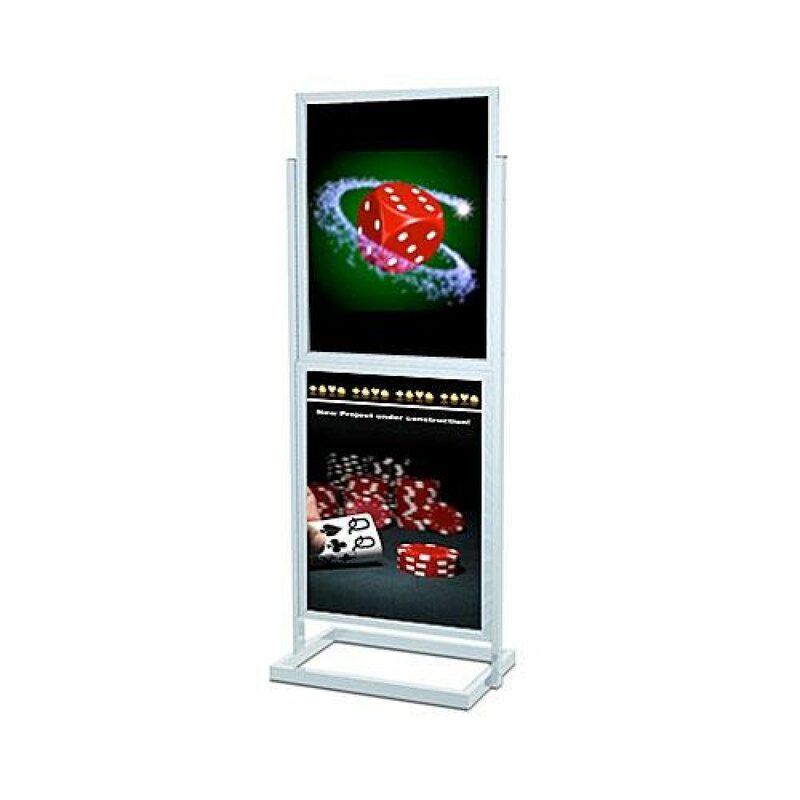 The heavy duty sign holder makes an attractive single or double sided poster holder for casino floors. 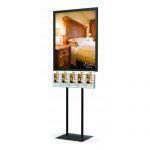 The graphic sizes are 22″w x 28″h and can be changed in seconds. The stand can be used for restaurants, cafes, snack shops, retail stores, offices, lobbies and directories at a casino. We can print the replacement graphics in 1-3 days after the graphic approval. We have done work for casinos in Las Vegas, Atlantic City and more. Our banner stands and other trade show displays come with one year warranty no question asked. Ask about our creative design for any type of signage and back wall graphics. We can get 1-10 retractable banner stands (Roll Up Banners or Pull Up Banner) done in one if needed. We print using Environmentally-Friendly Ink on Vinyl or fabric with vibrant colors. We are an Environmentally conscious service provider. We print on Eco-Friendly Vinyl and fabric with excellent print quality using Green Latex Ink.